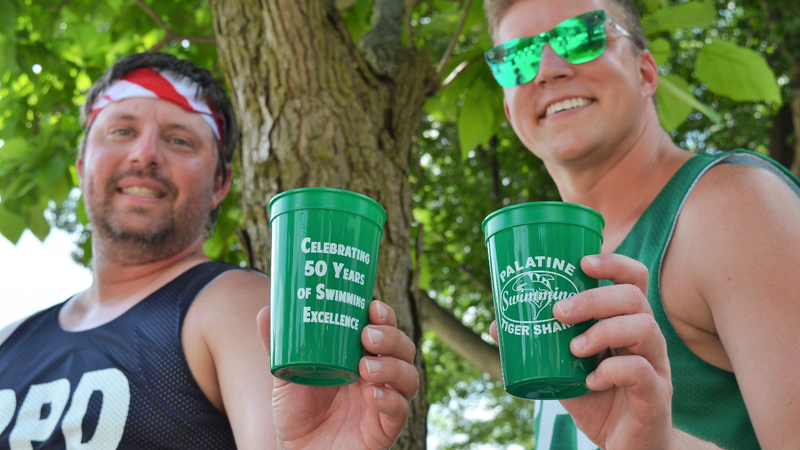 Palatine Park District’s Tiger Sharks Swim Team is celebrating 50 years of swimming. According to Patrick Griffin, Palatine Park District’s Aquatics Manager, the organization is a very strong, excellent resource for competitive swimming in Palatine. Griffin swam with the team for 17 years and served as Interim Coach for one season. “There is definitely a social aspect to the team as well as a home for those interested in more competitive swimming,” Griffin said. 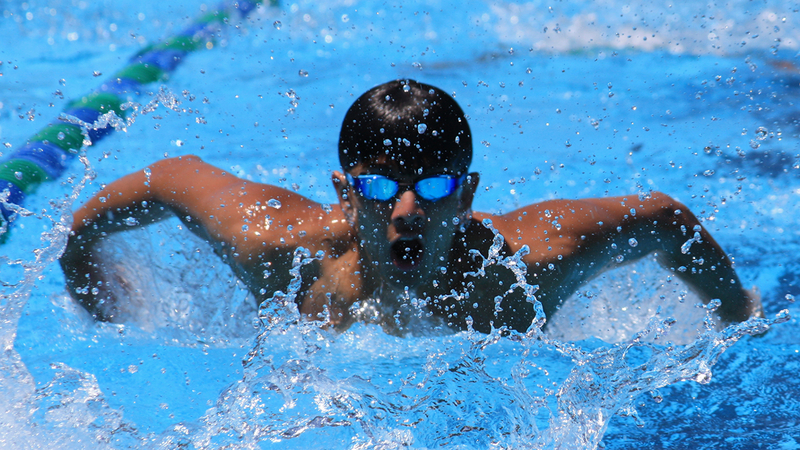 “Recent Olympians Michael Phelps and Katie Ledecky have added to the popularity of the sport. The team has members that continue to swim in college and beyond,” he added. The Palatine Park District Tiger Sharks is a USA Swimming, year-round competitive team offering high quality professional coaching and technique instruction for all ages and abilities. The goal of the team is to provide members an opportunity to improve swimming skills and achieve success at their level of ability. Gallagher has been in the lead position since 2013. He has a Bachelor’s of Science Degree in Kinesiology with a K-12 Teaching Certificate from Western Illinois University. Thompson attended Penn State University where he earned a Bachelor’s Degree in Mechanical Engineering. Gallagher is impressed with the Tiger Sharks’ longevity. “It is impressive for a park district team to be around this long,” Gallagher said. “Its purpose is to serve the community and we are committed to that cause.” Gallagher added that when he was growing up he was fortunate to have many positive swimming experiences and he hopes to help provide that for others. “My goal is to always be a positive influence on the team,” he said. All of the coaches are members of the American Swim Coaches Association and have access to the most comprehensive training and certification program for youth coaches of any sport in the United States. According to Gallagher, the team’s parent group plays a large role in the success of the organization. “The parents put in countless hours to make the Tiger Sharks Team the success that it is,” Gallagher said. “From putting on meets to serving on the board, parents are well represented. It can be a thankless job but it is so necessary to the team’s success,” he added. The Parent Advisory Board meets monthly at the Palatine Park District Community Center. All members are welcome at each meeting and encouraged to be involved in team activities and fundraisers. Jennifer Bolger serves as President of the Board. “It’s hard to believe Palatine’s Tiger Sharks Swim Team was formed 50 years ago as a small recreational team,” Bolger said. “We have grown to almost 300 swimmers and what I love about our team is we offer a top level of training to our kids who compete in state and national level meets, but we also offer a community team for the kids who just want to give swimming a try or want to keep in shape for their high school seasons,” she said. Bolger is happy to be a part of Palatine Park District. “Our affiliation with Palatine Park District keeps us grounded in our community,” she said. “Our swimmers are proud of our Birchwood facility as we host two home summer meets a year and welcome over a thousand swimmers from neighboring teams and communities to race with us. We wear our Palatine Park District gear proudly to our meets as we are one of the only swim clubs of our size with “Park District” in our title,” she added. Bolger is looking forward to the completion of the renovated pool at Harper College to use in conjunction with Fremd and Palatine High School pools. Other parent board members include Vice President Susan Savage, Treasurer Teresa Stepp, Secretary Erin Grady, Registrar Darcie Bestor, Director/Fundraising Cindy Hooten, Director/Escrow Janet Borre, Director/Communications Agata Rulkowski, Director/Cash Management Christina Huber, Director/Volunteers Jill Berls, Director/Corporate Sponsorship Doug Hill, and Director/Meets Emil Borre. 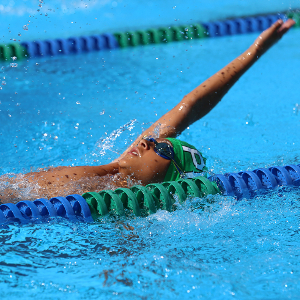 The Tiger Sharks have experienced many changes in 50 years but their goal remains the same – constantly growing and training young swimmers to maintain a well-rounded competitive swim team. For more information about the Palatine Tiger Sharks Swim Team contact the swim office at 847-202-3240 or visit the website at ppdswim.org.